As suggested by the restaurant’s new logo, a donut and a bagel in a coffee cup, the menu now predominantly features breakfast staples. Popular Greek bakery and café Artopolis Espresso, located between 113th and 114th street on Amsterdam, has been officially renovated and renamed The New York Basics, a conversion complete with a new menu and refurbished space and signage. The Morningside Heights favorite originally opened as the Artopolis Patisserie in 2007 by Strokos Gourmet Deli co-owner Peter Pantelatos and specialized in Greek pastries, cakes, and gelato. As suggested by the restaurant’s new logo, which is a donut and a bagel in a coffee cup, the menu now predominantly features breakfast staples: donuts like Maple Waffle and Chocolate Peppermint, pretzels, scones, and other baked goods. Omelettes, bagel sandwiches, and soups are served as all-day breakfast, lunch, and dinner options, and various brands of chips, oatmeal, and granola are also available for purchase. The restaurant’s interior has been renovated to include updated signage throughout the restaurant and on its exteriors; additionally, the bar in the back of the restaurant has been removed to allow for more open seating space. 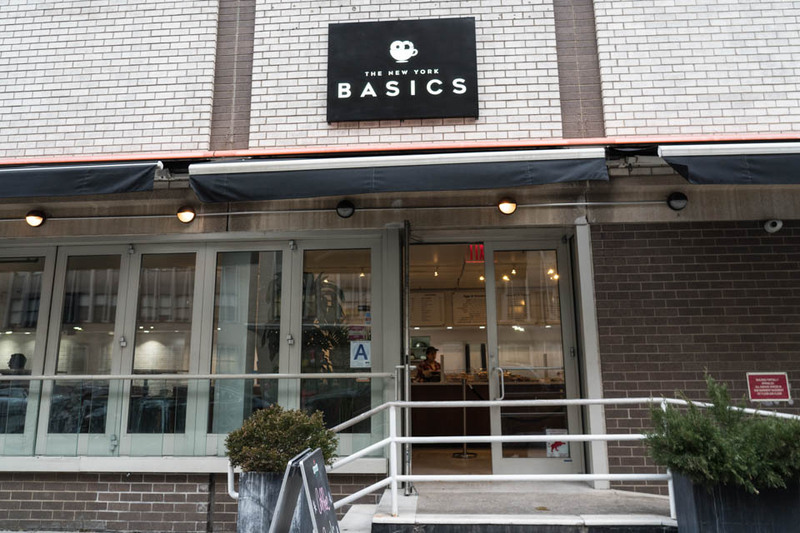 Starting today, The New York Basics will be open daily from 7:30 a.m. to 8 p.m.—though its hours may be subject to change. Deputy Editor Isabela Espadas Barros Leal can be contacted at isabela.espadas@columbiaspectator.com. Follow Spectator on Twitter @ColumbiaSpec.